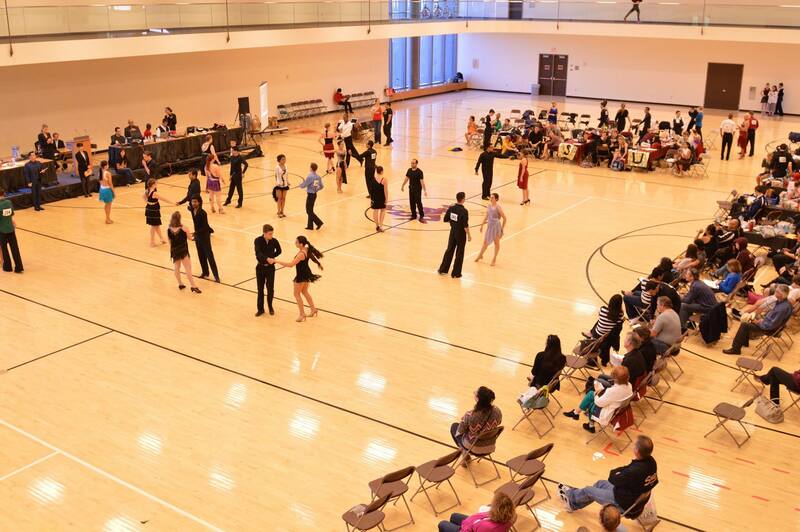 Devil DanceSport is pleased to invite you and your team to the tenth annual Devil DanceSport Invitational! Our competition will again be held in the friendly confines of the ASU Tempe campus in the heart of the Valley of the Sun. In celebration of the ten-year anniversary of the Devil DanceSport Invitational, we are excited to invite all competitors to join us for a special Diamond Soiree on Friday, November 10! The event will begin at 7:00 p.m. in the Sun Devil Fitness Complex and is open to all competitors, students, and members of the larger community. This will be a wonderful opportunity to celebrate our common love for dance, meet new people, and check out the floor for the competition on Saturday. We can’t wait to see everyone there. Last year, our competition saw over 160 competitors, from 14 schools register for over 1,600 entries in 145 events. 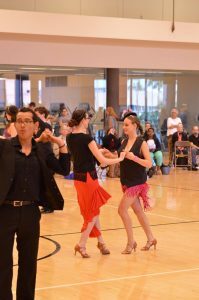 Due to this popularity, the Devil DanceSport Invitational has become the largest collegiate/amateur ballroom dance competition in the state of Arizona. 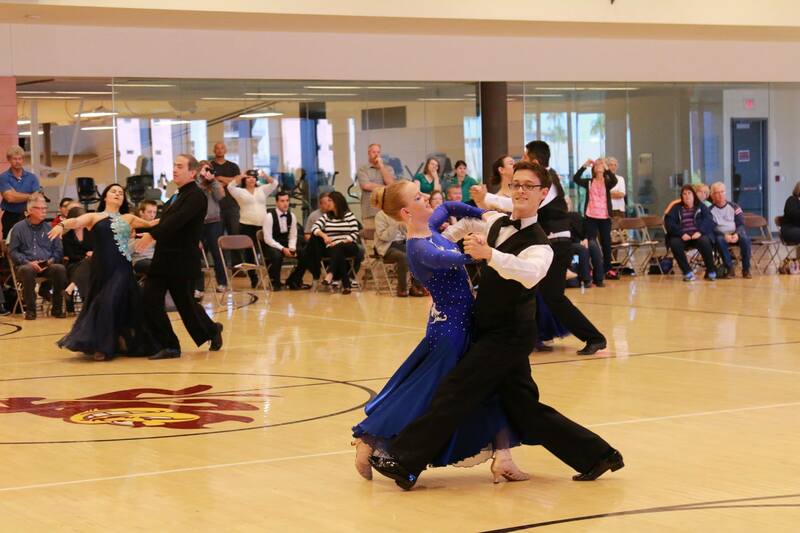 The competition will include amateur single-dance events and multi-dance events for individual partnerships. 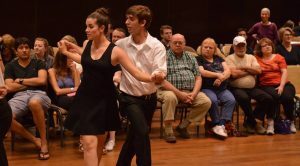 These events cover the American Rhythm, American Smooth, International Latin and International Standard dances; nightclub dances such as Salsa, West Coast Swing, and Lindy Hop; and many more. 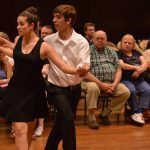 As in previous years, our upper-division heats are open to all amateur competitors; this means that non-collegiate competitors will be able to register for Gold single-dance heats, Novice, Pre-Champ and Championship multi-dance events, as well as our open Nightclub single-dance heats. We will also be bringing back our popular intercollegiate heats, where our competitors get to dance with students from other schools, and our mixed-proficiency Rookie-Veteran events, where Newcomers and Bronze dancers partner with dancers from Silver level and above. These fun events allow less experienced dancers to partner with peers that they would otherwise not usually dance with! Finally, in keeping with the collegiate tradition, we will be again offering team matches pitting universities against each other, including our popular Newcomer Team Match. 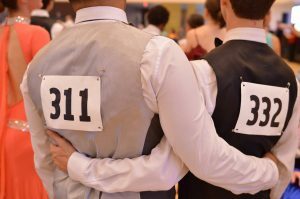 Because Devil DanceSport recognizes that many college students need to stretch their dancing dollars, the Invitational has one entry fee for all of the events and competitors are allowed to register for up to three different competitive levels in each style, as well as Rookie-Veteran. Come and dance your hearts out! For more information on the Invitational, including full rules and entry forms, visit the DDSI web page, as well as our Facebook event page. We look forward to seeing you on Saturday, November 11, 2017!